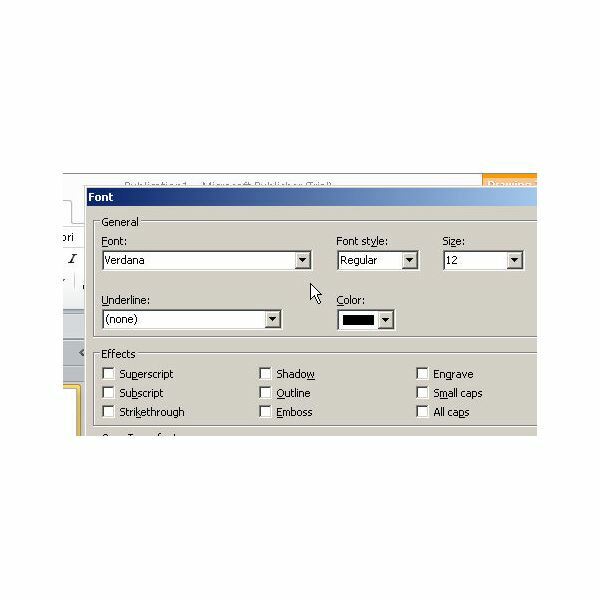 This tutorial describes and illustrates how the set default font for Publisher 2010 can be changed. This eliminates the bothersome task of changing the font every time a new document is created, saving time and eliminating a potential source of error. 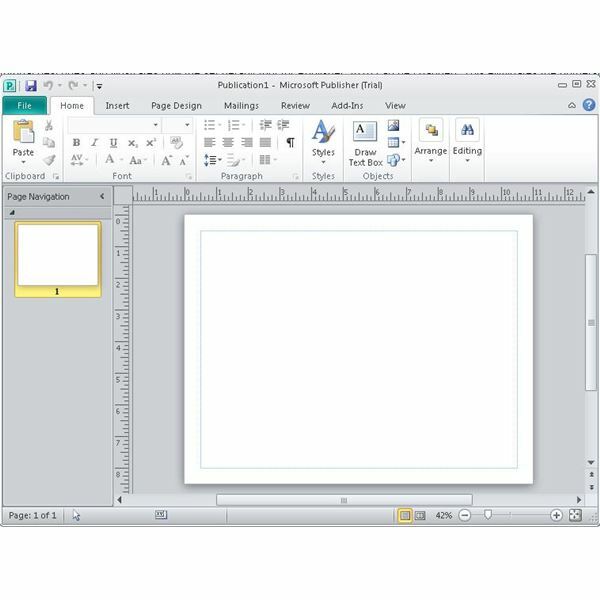 To follow along with this article, you will need a computer that meets the minimum system requirements of Microsoft Publisher 2010. You also must have Publisher 2010 installed on your system. If you do not have the software, you may download an evaluation copy directly from Microsoft. 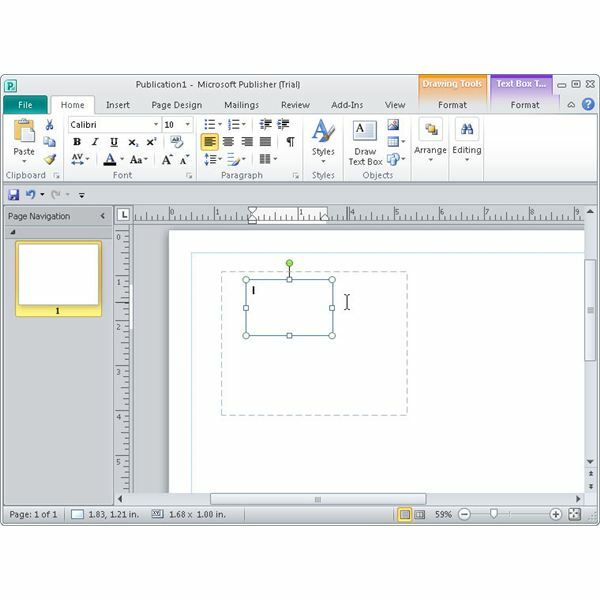 Begin by opening Microsoft Publisher 2010 and creating a new blank publication. In your new document, add a text box. When you do this, you will see that the "Text Box Tools" tab and the "Drawing Tools Tab" become visible. You want to click on the "Home" tab. 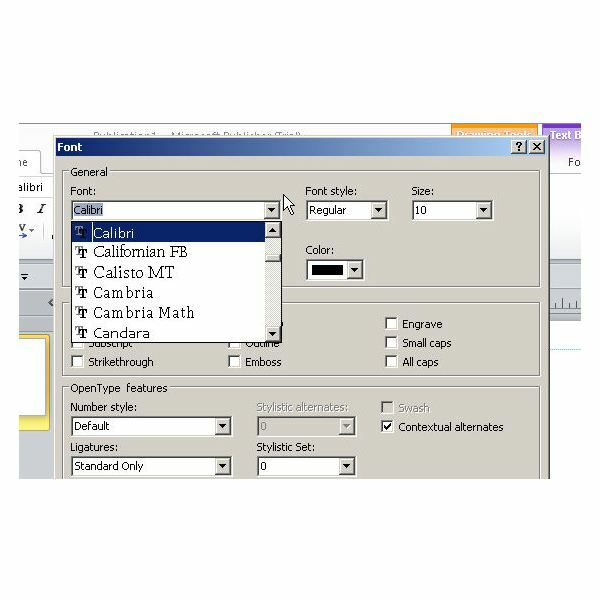 On this tab, you can see that the set default font for Publisher 2010 is Calibri. 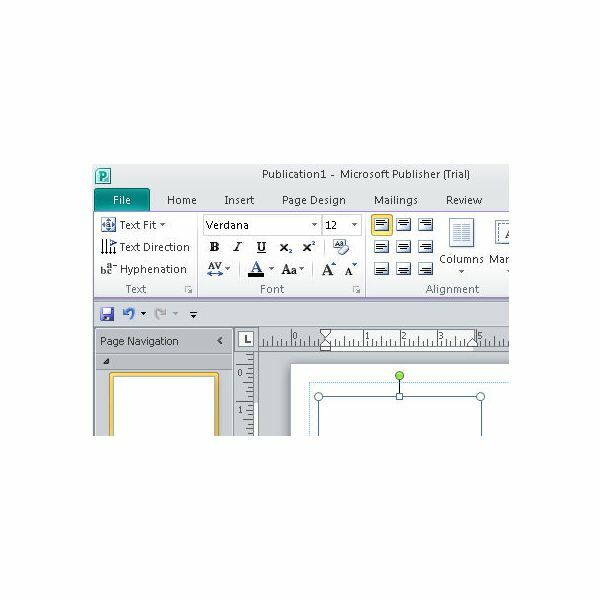 The objective for this Microsoft Publisher tutorial is to change the value that appears here by default. On the "Home" ribbon, click on "Styles." When you do this, you will see all the available styles displayed for you to select from: for this tutorial, you will be interested in the "Normal" style. 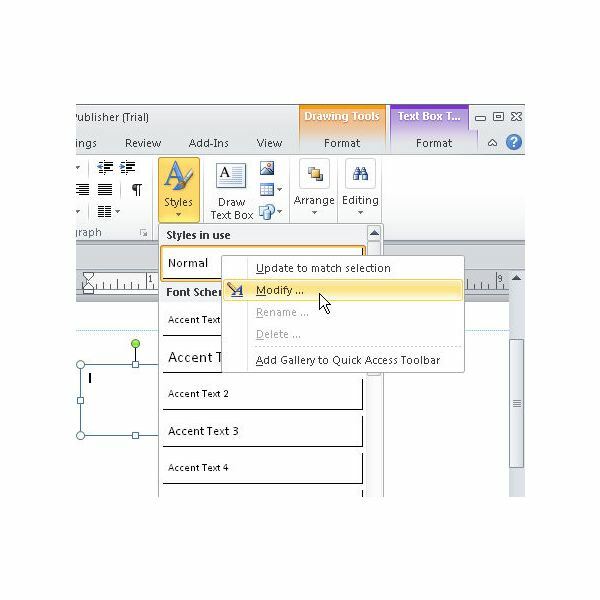 Right click on the "Normal" option and then select "Modify" from the context menu as shown in the following image. The "Modify Style" window will now appear. Here you have the opportunity to change settings for various styles and paragraphs within each style. 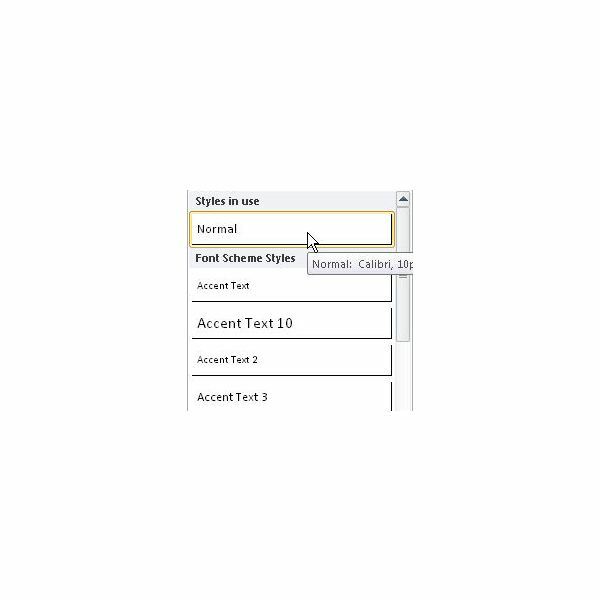 You will see that the "Normal" style has already been selected in the "Select style to change" drop down box. "Normal" has also been selected by default in the "Style for the following paragraph" drop down box. To the right you see buttons for altering the tabs, horizontal rules, bullets & numbering, paragraph formatting, character spacing, and font for this style. Click the "Font" button and you will see the "Font" selection window open. This is where you set default font for Publisher 2010. "Calibri" is set as the default for this style right now. Now, choose a different font to set as your default. If you don’t have one in mind, try Verdana. Set the size to 12. Click the "OK" button on the "Fonts" window and then click the "OK" button on the "Modify Style" window to return to the main work area. You have just changed the set default font for Publisher 2010. Finally, save the changes you made by clicking on "File" and then "Save As." browse to the file location: "C:\Users\User Name\AppData\Roaming\Microsoft\Office" and name the file, "normal.pub." For "User Name," substitute your user name. Close Publisher 2010 and then reopen it. 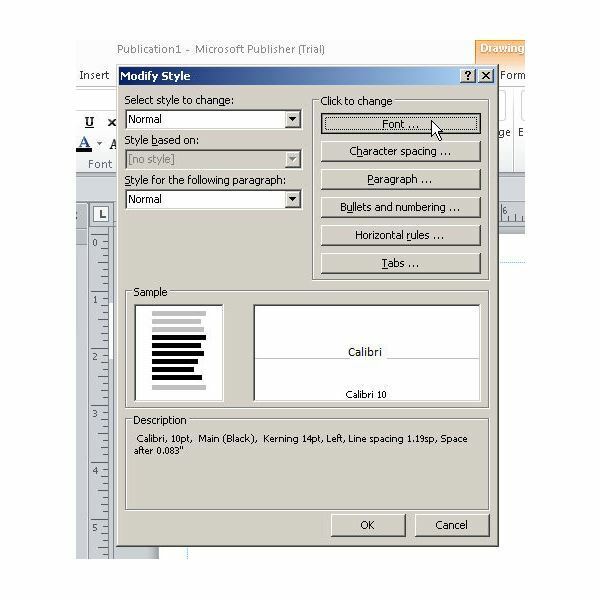 When Publisher 2010 restarts, create a blank publication and then create a text box. You will see that you have successfully change the default font settings by looking at the font name and size on the "Home" ribbon. 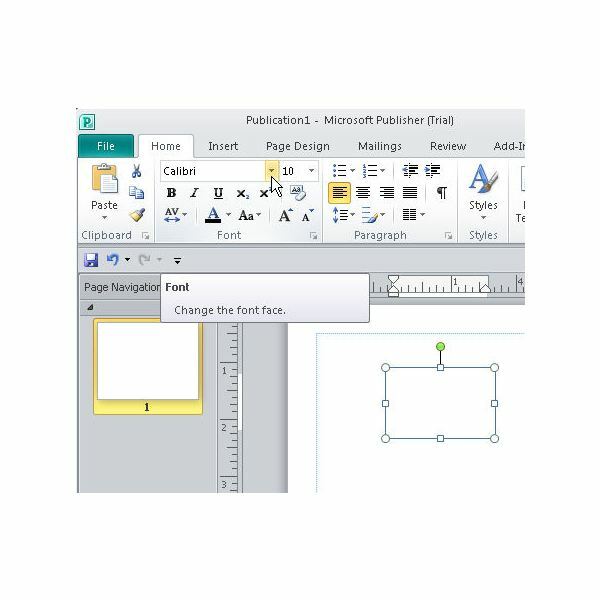 All the changes you make to your "normal.pub" file will become default for your Microsoft Publisher 2010 documents, so you can change a lot more than just the default font. If you don’t want your preferences saved anymore, you can use Windows Explorer to browse to "C:\Users\User Name\AppData\Roaming\Microsoft\Office," where you can delete "normal.pub." 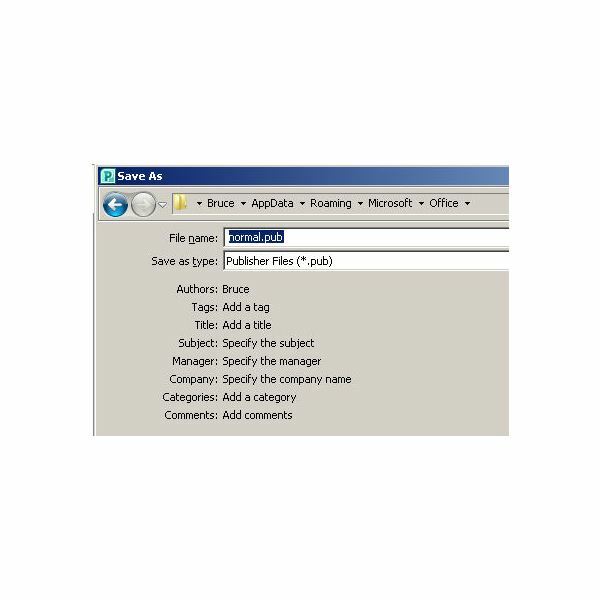 Your settings will then revert to Microsoft’s default choices for Publisher 2010.